Sanbot would be a great addition to any event. She is the ultimate conversation starter! She is the perfect event robot, serves drinks, can dance and project your event presentation. Sanbot is available to hire from DrinksBot. She can come with our drinks packages or simply as a stand alone hire. To find out more about Sanbot hire, please contact Ekua Cant, Founder of DrinksBot. 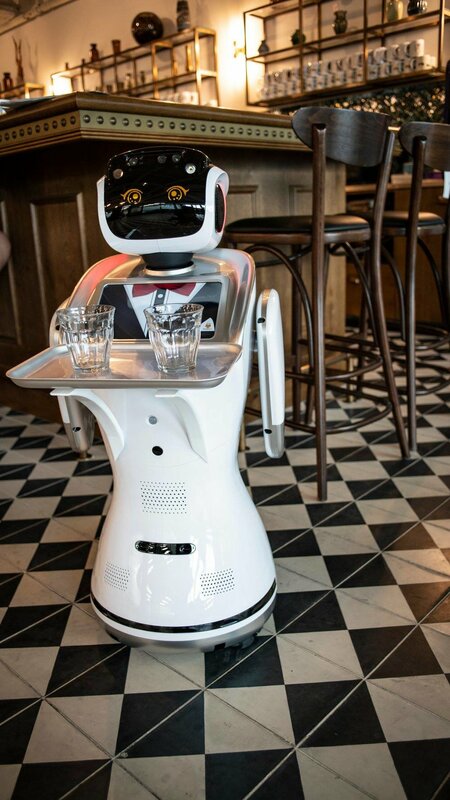 Please email her at: drinksbotfeedback@drinksbot.me or call her to speak about your Robot Waitress hire on 07843738584.